Versatile media offers convenient rewriting and large storage capacity. Write and rewrite files as needed for an economical data management solution that's perfect for computer backups. DVDRW media is a great way to share files with business associates and friends and family. Rewritable up to 1,000 times for worry-free overwriting. 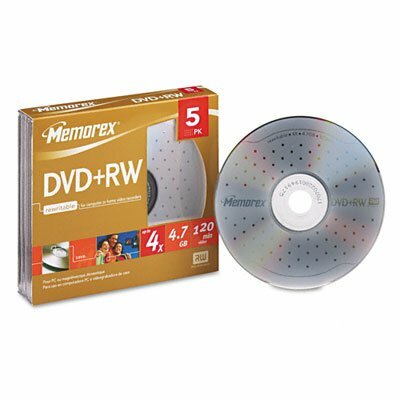 Disk Type: DVDRW Capacity Video: 120 min Recordable Format: Rewritable formatmay record and re-record data up to 1,000 times. Capacity Range Data: 4.7 GB.